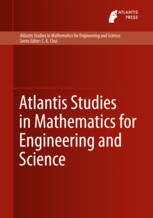 The series 'Atlantis Studies in Mathematics for Engineering and Science’ publishes high-quality monographs in applied mathematics, computational mathematics and statistics, that have the potential to make a significant impact on the advancement of science and engineering on the one hand, and economics and commerce on the other. We welcome the submission of book proposals and manuscripts from mathematical scientists worldwide who share our vision of mathematics as the engine of progress in the disciplines mentioned above. All book proposals submitted to this series will be reviewed by the Series Editor. Upon receipt of the manuscript, it will be entirely reviewed by an expert referee. Only after this review the book will be published.